Illustration artist, portrait artist and original doll artist. Coloring books aren’t just for the kids anymore. They are all the rage and may stay with us for quite a while. Therapists have touted the calming benefits for over a decade. Coloring “soothes the soul”. When you focus your attention on coloring, your stress falls away leaving you relaxed and happy. Grab your colored pencils, gel pens, glitter pens, markers and crayons and get started. Find Rosemary’s Color Books here. Adult Coloring. 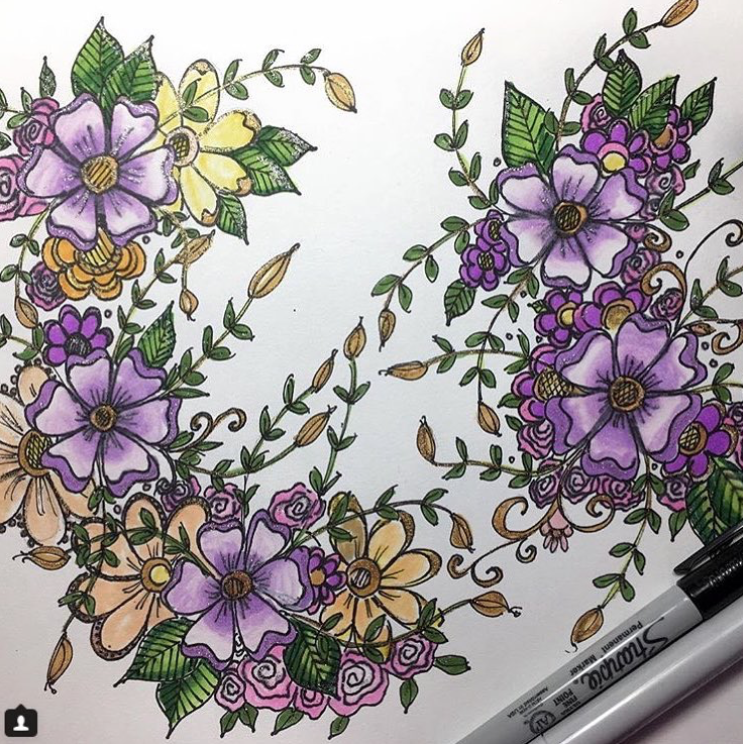 With so many artists sharing their work in published coloring books, I decided to jump in and join the fun. 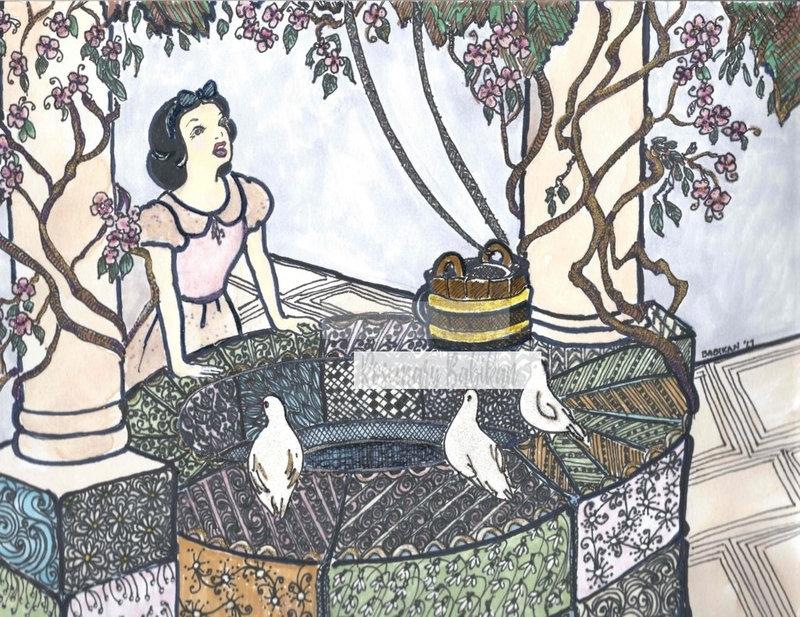 This year I recently published “Fairytale Weddings, an Adult Coloring Book” which is listed on Amazon.com. There is nothing better than a stress relief tool for a bride-to-be. The difficulty level of the pictures is simple to complex. 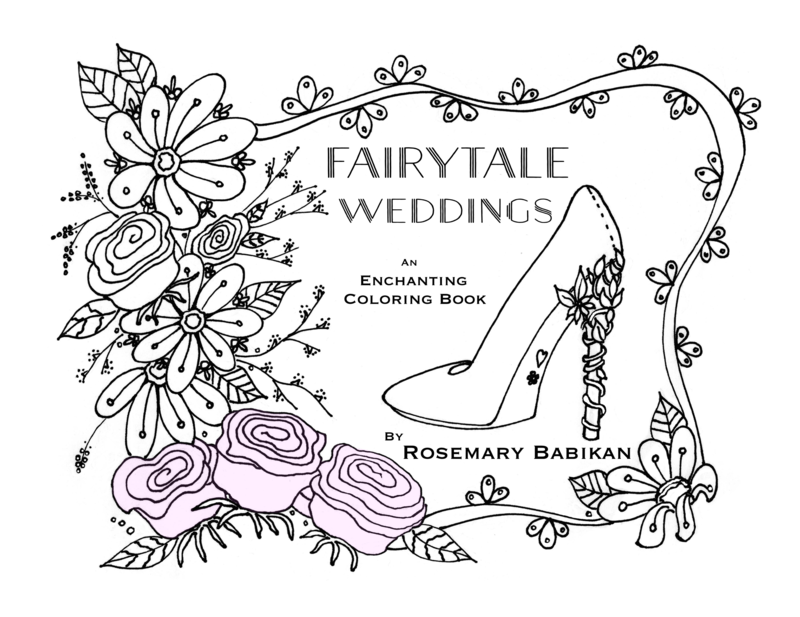 Anyone who appreciates the celebration of a wedding or just plain beautiful artwork will enjoy coloring in this book. Coming soon, different coloring techniques and special speed-drawing videos, so check back. Then I followed that coloring book with another one in the first half of 2018 called “Color Me Royal, Magical Places and Majestic Faces”. Recently I published a Holiday adult coloring book for 2018 called, “Calm for the Holidays”. It is the first in a series of Mandala themed pictures. It is sure to relax you during the stressful time of the holidays. Learn More Adult coloring pages are instantly printable from Etsy.comWatch me draw! 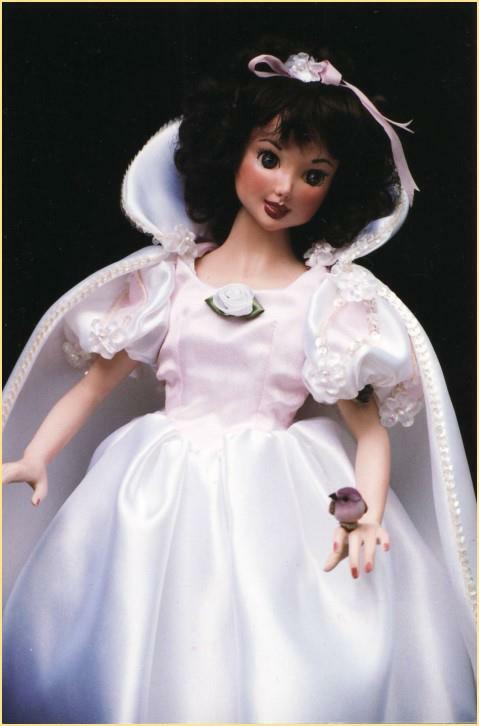 Sculpting one-of-a-kind dolls porcelain dolls, paper sculpture, painting, jewelry design, and portraiture.